You are currently browsing the tag archive for the ‘National Swiss Winegrowers Day’ tag. France, Germany, Italy – all great wine growing countries. Right in the middle sits Switzerland. Logically, it should also be a prominent wine producer. But as you probably know from wandering up and down the aisles of your local liquor store, there isn’t ever a sign between “Italy” and “France” where you’ll find the swiss wines tucked away. Nearly all the national production is drunk within the national boundaries; less than 2% of Swiss wine is exported. So consider a glass of swiss wine a treat, outside of Switzerland – it’s likely 0.00001% of the wine shipped around the world today*. There was only one bottle of swiss wine in Victoria’s largest liqour store: “Swisswine” (not a very catchy name!) – of the Chasselas varietal. 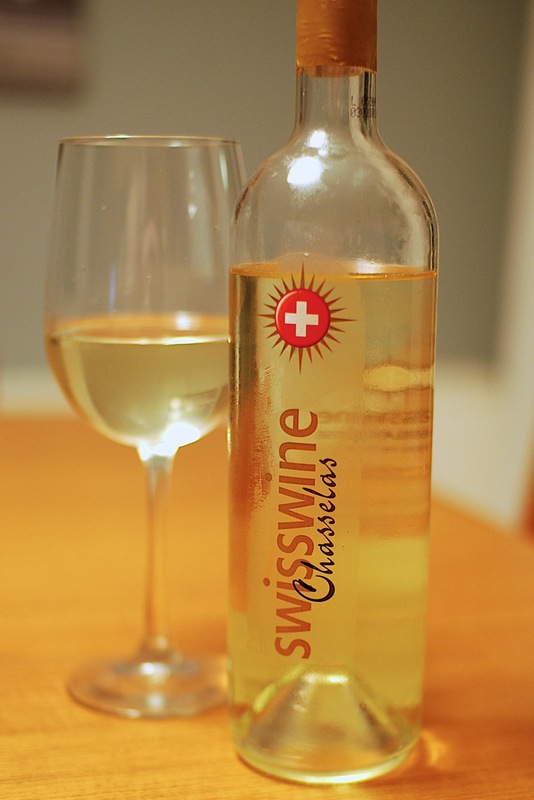 Chasselas is mostly vinified to be a full, dry and fruity white wine. The internet tells me it is considered an ideal pairing for Raclette or Fondue, and I would agree with that– this bottle was fresh, fruity with a bit of a mineral tang. For $25 it is a nice bottle, but not in my opinion a GREAT bottle. If you’re interested in learning more about Swiss wines, you’re in for a bit of a struggle (unless you are more bilingual than I!). As one website puts it: “Wine information is easy to find. Swiss wine information is somewhat more elusive, and Swiss wine information in English is rare.” However, I did come across this walking tour along one of Switzerland’s premier wine routes, where the tour group is accompanied by three St. Bernards! That’s gotta be fun and educational, right? So here’s to the Swiss Vintner’s – Long may your grapes produce! *yeah…that’s a guestimate! Don’t check my math!